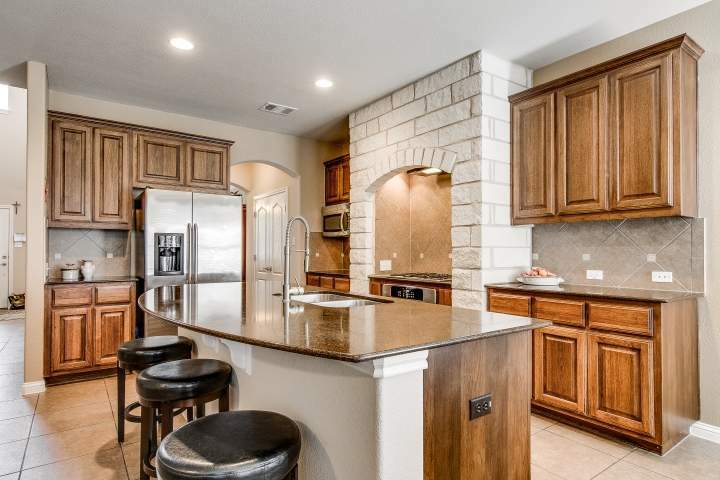 Ledge Stone Gated Home in Dripping Springs for sale. SOLD! Let Us find you another! Ledge Stone A rare opportunity to own a great detached home in the condo community of Ledge Stone. Open floor-plan, tons of upgrades. Gourmet kitchen with rock accents opens up to a family room with cast stone wood burning fireplace. Second floor game room or third living area/office/game-room with door to patio with distant views of the hill-country. Large extended covered patio with built in outdoor kitchen, grill and fridge. 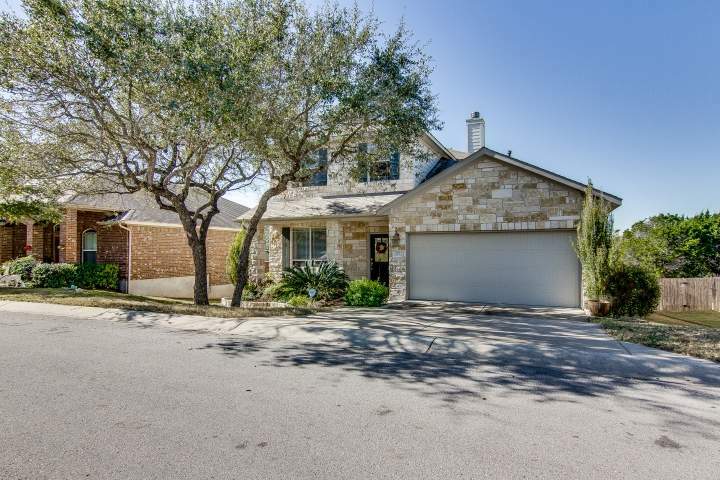 Back yard with stone sidewalks, custom fire-pit with stone benches & fenced dog run/yard. Community swimming pools and playscapes and parkland. Best lock’n’leave home in Dripping springs! Contact the HomesAroundAustin team to make an appointment show before this one is sold! Ledge Stone is a gated community just Southwest of Austin only 18 miles from Downtown Austin. Ledgestone resides in Hays County’s 78737 zip code and attends the exemplary school district of Dripping Springs. Homes are traditional stone or brick in construction with one or two story ranging from 2,000 to over 3,900 square feet of living space. Many of the homes back to the greenbelt with distant Hill-Country views making the best of your outdoor living areas. Some of the homes are in a condo community but still retain their detached home status making the best lock ‘n’ leave homes in Dripping Springs! Ledge Stone also has a great community center with two pools and play areas. Homes in Ledge Stone date from 2010 vary according to the builder. Builders in Ledge Stone community include CalAtlantic and Meritage Homes and Lennar; each home has varying upgrades. Most have the master bedroom on the ground floor. Some are upgraded with outdoor kitchens and outdoor fire pit areas. If you have any specific upgrade requirements let the HomesAroundAustin team find you your perfect home in Ledgestone. Where is Ledge Stone Austin TX? To visit from Downtown Austin, take MoPac Expressway /TX-1 Loop S to Highway 290 W. Follow 290W towards Johnson City, just past Cedar Valley (Nutty Brown Cafe) taking a right on Ledge Stone Drive to the gated entrance. Ask your HomesAroundAustin team about Ledge Stone homes for sale and getting access to the community. Ledge Stone community is just 22 miles to Austin-Bergson International Airport. Great restaurants, shopping and cinema are coming soon on the opposite side of 290W in the Belterra subdivision. Great eating just a short 1/2 mile drive to Trudy’s Four Star restaurant! Contact us today or call Richard on 512-731-2691 to preview this great home and compare to others.